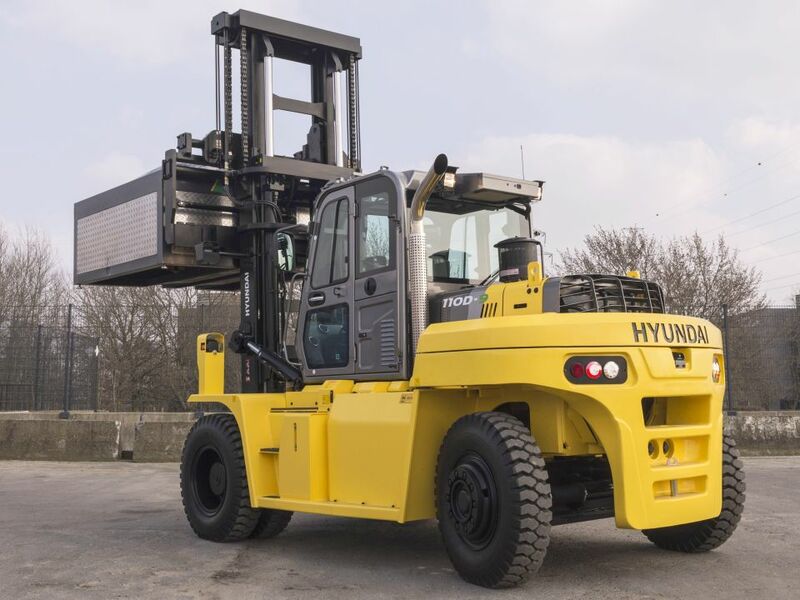 Hyundai 110D-9 new heavy counterbalance forklift truck for sale. Looking for a great all-round big forklift? The powerful 110D-9 is high on safety and cost-effectiveness, as well as operator comfort. More power and less noise means better lifting capacity and less distractions. Please have a look at our other new forklift trucks & telehandlers or maybe you want to browse our used forklift trucks. Forklift truck rental is also available for this forklift. Unilift South Wales offers a complete forklift truck solution throughout South Wales including Cardiff, Swansea, Newport, Neath, Port Talbot, Bridgend, Llanelli, Carmarthen and Milford Haven. We can also offer a peace of mind forklift truck maintenance and service contract to ensure your forklift truck is always maintained to the highest standards.